1. It has such characteristics as high impact resistance , high rot resistance , high temperature resistance , non-toxic , smooth surface , light , easy to thermoform , etc. 2. Applications: such as wire plate , environment protection material , venting equipment , semiconductor equipment , etc. 1.. 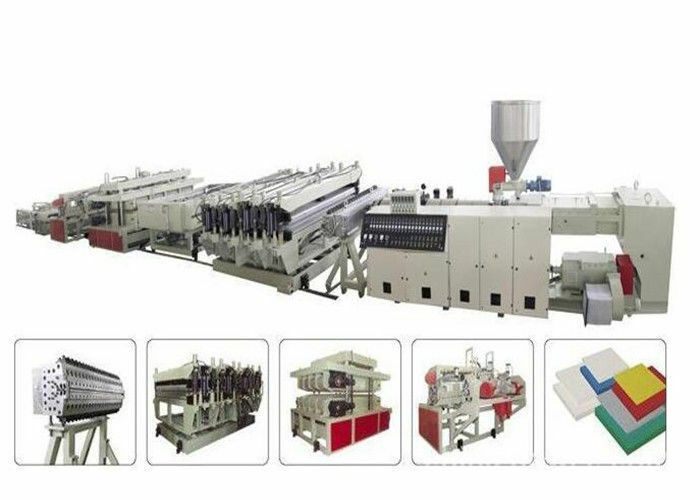 These machine consists of : Feeding machine , Extruder , Mould , Calibrator Tank , Haul off machine , Cutting machine , Stacker. 2. 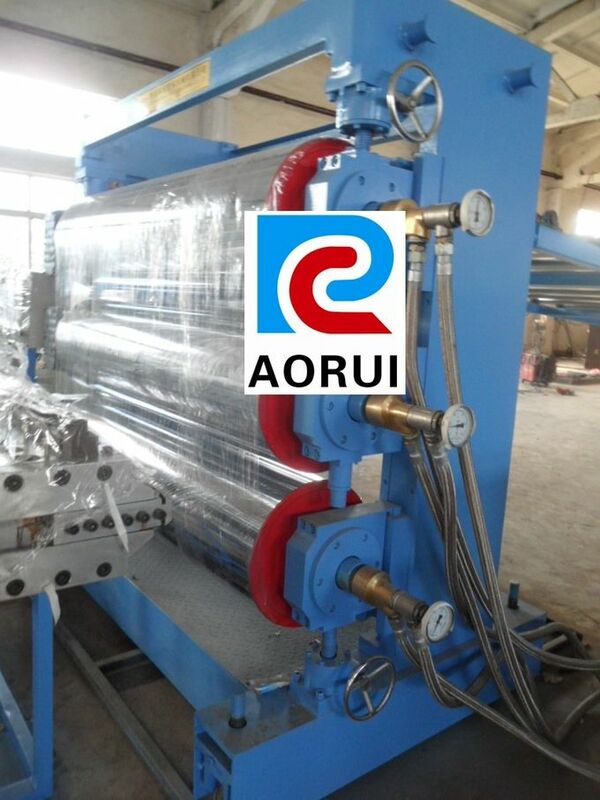 Rigid pvc board is widely used in chemical industry, petrol, electroplating,water purfying equipment, envrionmen-friendly equipments. lamp house and advertisements, etc. 3. 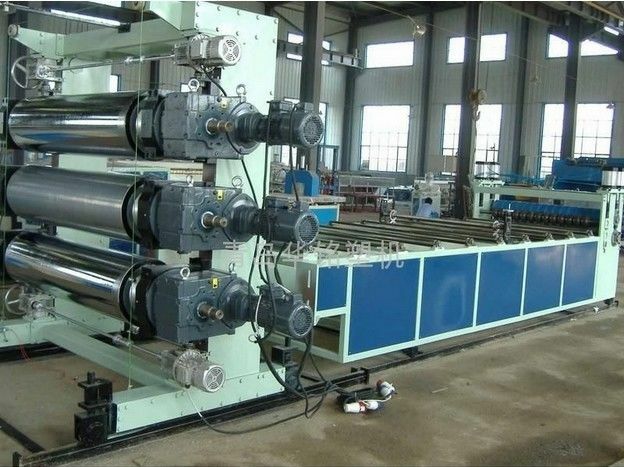 Screw apply special design of mixing and plasticization funtion; Coat hanger type die withtwo throttle design enalble to regulate the sheet thickness accurately;Sheet thicknes shall be regulated by screw and pressing roller; Separete roller temperature control system can make even sheet thickness, Winder withbig torque motor, regulate its speed and tension force; Automatic metering device can pre-set the length of product. such as building wall board, decoration board, housing, office, public building interlayer, commercial decoration shelf, non-dust room board, ceiling plate, etc.